Clearly iStamp: Are you a dog lover? Try out this Ruff Day SVG cutting file! Are you a dog lover? Try out this Ruff Day SVG cutting file! I thought I would spread out my posts a little this month to really focus on each cutting file! I will be showing you creations using these files! My daughters are nuts about dogs! 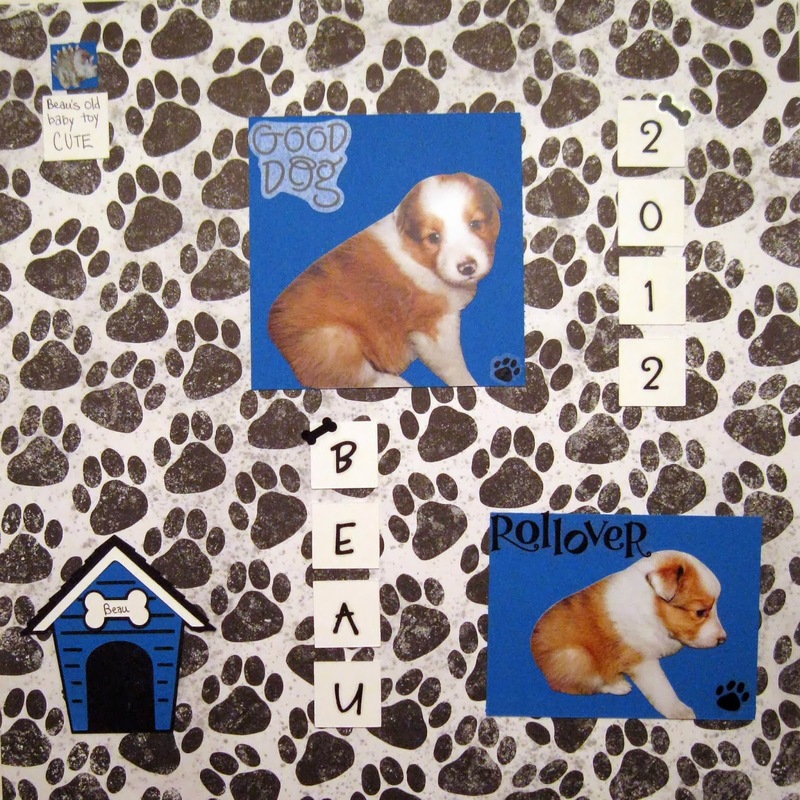 We are doing a scrapbooking class at our homeschool coop, so I have been creating embellishments for her to use for her puppy pages! She is very happy! All of the samples have been done by my daughter! Take a look below at the samples! The Mr. Spike digi is NOT included with this set. In this page we used one of the titles from the set. This is Beau...our little Sheltie puppy....sweetest dog ever! 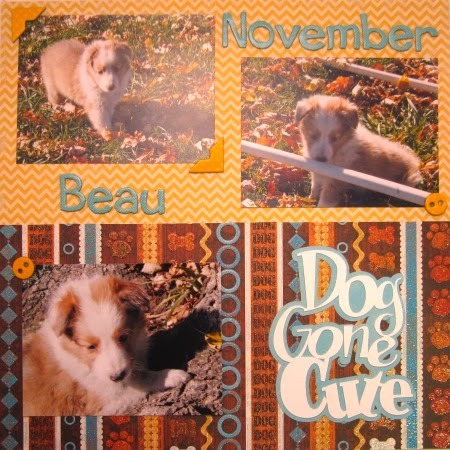 Fast forward a year, and here are Beau's puppies! 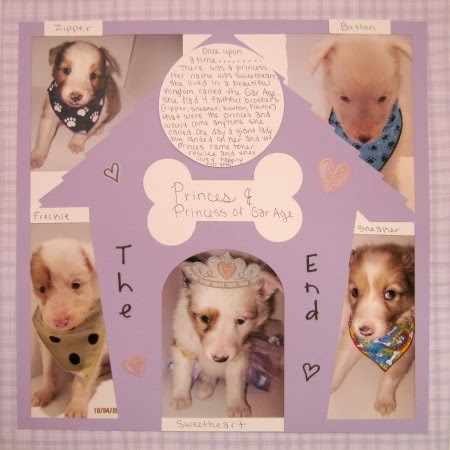 In this scrapbook page, I made the doghouse about 10 inches by 10 inches and added a frame around the edge to create windows for all the puppies. I think this turned out really cute. My 13 year old daughter did this adorable page! It really helps kids to have structure when they are learning to scrapbook, otherwise all their pages end up looking the same! This cute little scrapbook page was done by my daughter too! 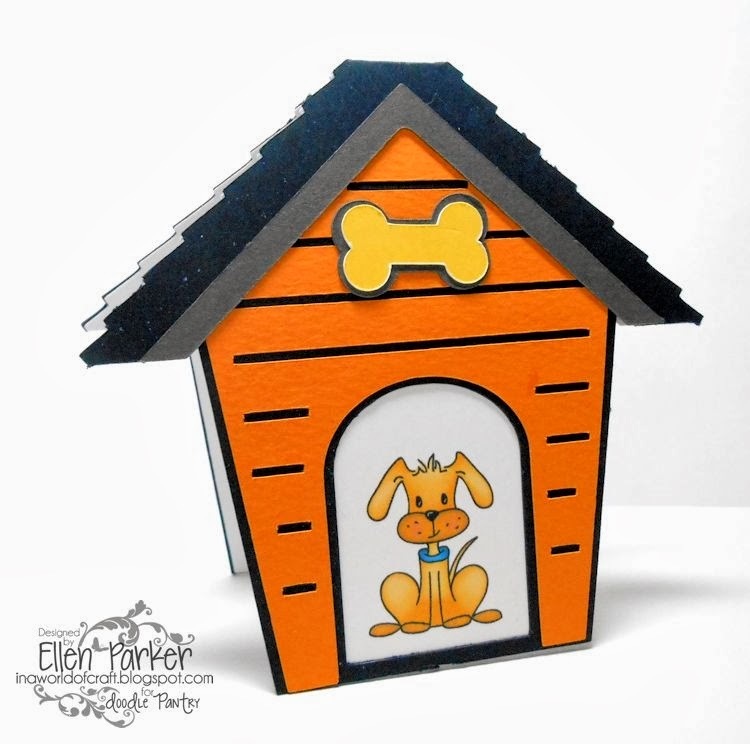 She used the little doghouse as an embellishment. This set is perfect for cards too! Ellen made these cute cards with the set....love them! 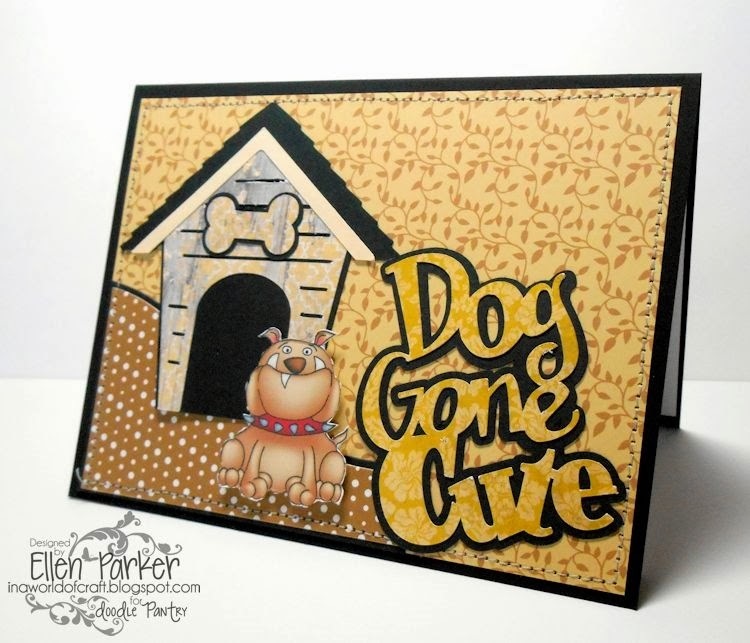 This dog on this card is from the Mr Spike Digital set at Doodle Pantry. This dog is from Doggies and Things Digital Image set at Doodle Pantry. The Ruff Day set is adorable! Love the layouts and cards! Your daughter's layouts are so cute! Beautiful LOs!!! Your daughter did a great one too. Love how she used the house :-) and yes, I'm a dog lover!!! Please tell your daughter her pages are wonderful for me. What great pages...you daughter has real talent. Love these cut files! I love doggie related items. We often dog sit and so I make our favorite canine Christmas and Valentine's cards. This would be perfect. So cute! Thanks! I always have a need for more Puppy stuff! I love these! I love that your daughter is scrapbooking. Totally cool.